Burglary is one of the most common types of crime committed in the UK, with around half a million occurrences recorded in England and Wales every year. 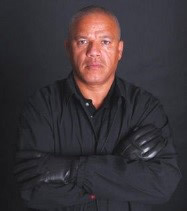 To help protect your home from burglary, and prevent burglars targeting your home, we’ve teamed up with security consultant and ex-burglar Michael Fraser. Read on to discover the secrets behind how burglars target and enter homes, and simple strategies you can employ to stop burglars in their tracks. What do burglars look for once they’ve identified a target? About Michael FraserBest known for co-presenting the BBC’s ‘Beat the Burglar’ and as the principal mentor in C4’s ‘Going Straight’ Michael Fraser has turned his life around from being involved with crime to becoming a much in-demand media contributor and home safety expert. He is also a highly skilled and popular motivational speaker. You can find out more at his website here. A big front window on a property allows a burglar to scan what’s in your house, they’re looking for things like mobile phones, laptops, iPads and gadgets. Then they will check out the quality of the locks on the windows and if there are two locks on the front door. Most houses have a single Yale lock on the front door which makes it easy to break in. They can use various techniques including fishing for keys through the letter box or snapping the lock. If there is a second lock on the door they will move on completely or head to the back of the property, which is where most burglaries occur. As they approach the back of the property they’re looking out for opportunities. Any evidence of pets, such as a cat flap, indicates you probably don’t have the alarm on. A cat flap also weakens the entire area around the door, allowing a burglar to kick the back door in or fish for your keys so it’s important you don’t leave these in the door. They will also look for things lying around such as tools or garden furniture which could help them break in. What does a burglar do once in the house? Once they’ve gained entry to the property a burglar will immediately head to the front door where they will balance a brush or a bottle against the door. They will then ransack upstairs, beginning by kicking the bed over, as this is where many people hide their valuables. They will then head immediately to the kitchen where important documents are generally kept. If the homeowner returns, the noise at the front door confuses them whilst giving the burglar a couple of seconds to escape through the back door, which is open the entire time. The only place they won’t go is the loft, once they’re in the loft they’re stuck and they can’t escape. The whole process could take only a minute and a half, escaping through the back of the property with thousands of pounds worth of your belongings. What type of things are they looking for? Laptops, iPads, gadgets, jewellery – anything that can be wiped clean and sold on easily. Car theft is also on the increase and opportunists will break into your house just to get your keys which are traditionally left by the front or back door. What don’t people think about when it comes to security? Social media is a big problem, people will share details about their address, talk about when they’re going on holiday or brag about things they’ve bought. This type of information is invaluable to a criminal. Avoid selling your house with an estate agent that shows your address, this is an open invitation for burglars. Burglars will also assess the accessibility of cars outside the property to see how easily they can be driven away. Only 1% of drivers steer their wheels into the curb when parallel parking as opposed to the 99% who either leave their wheels straight or angled out towards the road. Without realising the 99% that do not steer their wheels in towards the curb, are leaving themselves more open to having the vehicle stolen as it can be easily driven away from the scene. What advice would you give to homeowners in storing their valuables? The loft is the safest part of the house. Burglars don’t want confrontation and will ensure they have an immediate escape route. A safe is also an excellent way to store your valuables but ensure it’s secured to the ground or too heavy to be carried away. I always say to people, imagine if you were locked out – what would you do to get into your property? It’s exactly the same process a burglar goes through. 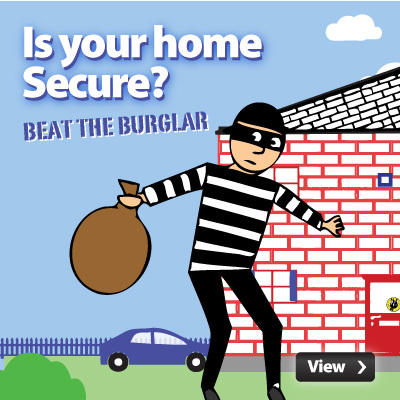 Take action before you’re a victim and beat the burglar!